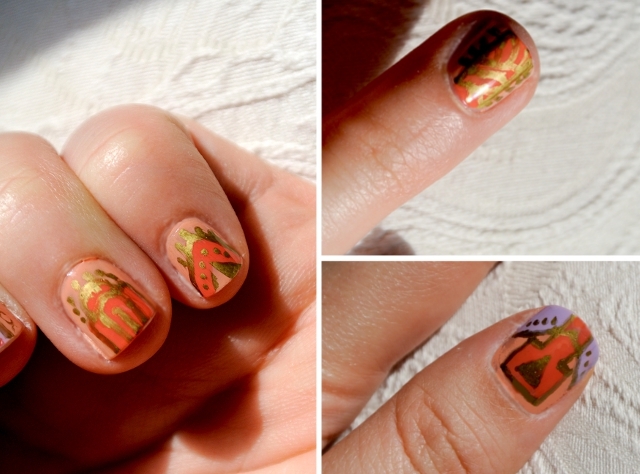 Inspired by nail extraordinaire, Camille, of PSHIIT (don't ask me how to pronounce the name of the site, it's in French), I wore Aztec nails to Bali. And yes, I used Sharpie pens! In my opinion and experience, the metallic versions like Gold, Silver and Bronze do not work as well. It tends to smudge the moment you run your Top Coat brush over your nail. The Black however has better staying power. One tutorial I saw online recommended spraying a light coat of hairspray before going over with top coat. I tried that but did not work. In any case, the ones on my fingers lasted long enough till the end of the holiday and that it was good enough for me. 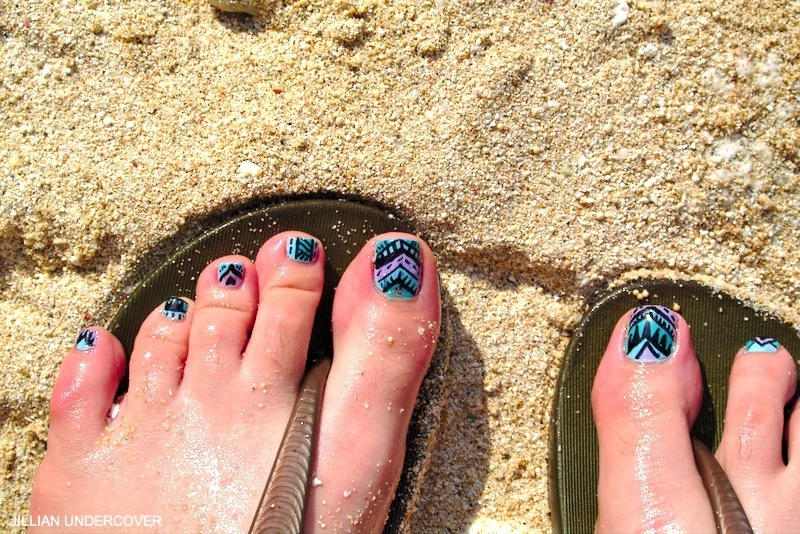 I love, love the ones I did for my toes best! The best part is, it's super super easy! All colours below are from Topshop. 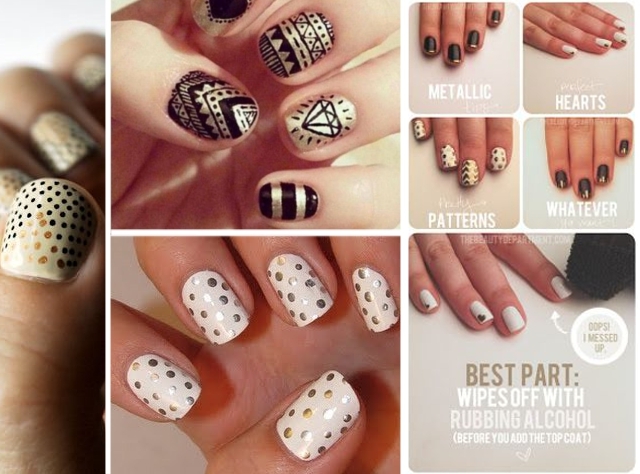 Here are a few more Sharpie Nail inspirations to pursue this Friday evening! (Images from here, here, here and here). Some of these people have mad crazy steady hands don't you think? Anyway, God bless Sharpie! Have a good weekend guys! PLEASE VOTE FOR JILLIAN HERE!